Israel held on to a liberal model of ideological thinking for a long time after that shift, but, in combination with a permanent state of conflict, the ethnic nature of that conflict, the occupation and a significant rightward drift over the past 35 years, Israel became a state of refuge for its Jewish supporters in the Diaspora and its citizens were cemented into a bunker mentality. Consider Ze’ev Jabotinsky, the founder of the Revisionists and the ideological patriarch of the Israeli right, which eventually was embodied in today’s Likud coalition. 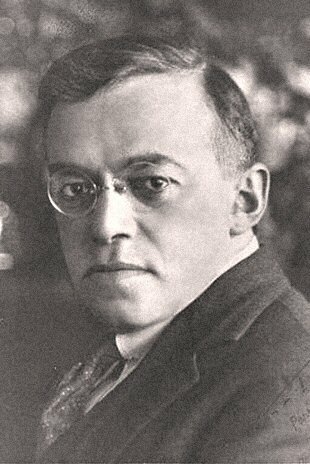 Jabotinsky was clear in his view that the only way a Jewish state would be established would be by crushing the Arabs, but he also drafted a constitution that would have given Arab citizens of Israel full equal rights, partnership in government and the same requirement for military service as Jews. He even envisioned the possibility of Arab heads of the government and saw no problem with that. Try to imagine such a thought today. This was no left-wing, utopian dreamer, but a hard-willed Jewish nationalist who believed that the Jews of Palestine could only liberate themselves at the expense of the Arabs and thus should do so without qualms. But he believed in a state of Israel that would, once the fighting was over, treat all its citizens equally and become a part of the community of nations to the fullest. As much as I find many of Jabotinksy’s views objectionable and even offensive, he is rolling over in his relocated Jerusalem grave at what Israel has become. Whether from a left or right wing Zionist tradition, the dividing line between the bunker mentality and the goal of making Israel a truly democratic society (something it has been much closer to being in the past but never fully attained) is what determines whether one will support Israel’s current suicidal course or work to steer it back toward the vision of its founders. It is from that sentiment that Beinart’s motivation for critique comes. But he starts from a place of deep feeling for Israel, something that is increasingly disappearing among world Jewry. And for all the discussion and debate, there’s little mystery as to why that is. Most Jews are liberal. They are uncomfortable with the Jewish state holding millions of Arabs under occupation without the rights of citizenship. They are uncomfortable with the Jewish state holding a million and a half more under siege. They are uncomfortable with the devastation Israel wreaked on that same population a year and a half ago. They are uncomfortable with the Jewish state saying it is simply helpless to stop settlement expansion. They are uncomfortable with valuing East Jerusalem (aside from the Western Wall area) over peace. Most Jews in the Western world have seen very little anti-Semitism up close and personal, and what most have seen has not been so threatening as to make them consider leaving their home countries. They know that Jews fleeing persecution in the Soviet Union twenty, thirty and forty years ago often came to the United States or England, France, Australia or Canada. The same was true for Jews fleeing Iran in 1979. They do not live in fear of a next Holocaust as their parents did, and if it does threaten to come about, they don’t believe Israel is going to be the only option. Israel’s insistence that it just needs better public relations campaigns is a dead-end. The fact is, more and more Jews who would otherwise support Israel whole-heartedly and passionately are alienated by Israel’s behavior and by the increasingly boorish tactics of Diaspora Jewish leadership in defending Israel no matter what. It’s not only AIPAC; with each new generation, more and more young Jewish idealists look at Alan Dershowitz, Abe Foxman, and other Jewish leaders who are liberal on so many other issues, as hypocritical in their approach to Israel. That is not a lead they want to follow. And the result is not that these “new Jews” are stepping up to take the mantle of leadership away from an old guard that is increasingly out of touch with the realities of the world in 2010. No, they are turning their attention away from Israel entirely. Israel cannot be a “Jewish state” if world Jewry can’t identify with it. And so Beinart’s identification of Israel as a refuge first is giving way to the more powerful desire to see Israel be a state that reflects the ideals and views of the overwhelming majority of Jews all over the world. That’s how see his essay, as the triumph of his desire to meld liberalism with Zionism over the tired and outdated view of Zionism and Israel as a line of last defense against another Hitler. It’s high time that both the Israeli government and Diaspora Jewish leadership stopped trying to force Jews to choose between liberal ideals and support for Israel and start working to bring those two things together. It begins with ending the occupation and ends with an Israeli constitution that actually determines the nature of the state. This entry was posted on May 22, 2010 at 4:24 am and is filed under Uncategorized. You can follow any responses to this entry through the RSS 2.0 feed. You can leave a response, or trackback from your own site. Nothing illusrates your hubris, arrogance, and deatchment that of your countrymen better than this remark. Whatever gave you the idea that this generation of American Jews wants “to be brought together with Israel”? These young people are now experienecing an economic crisis that hasn’t been seen since the Great Depression. Its the worst job market for graduates in almost 50 years. They can’t find work. They’re folks have lost their jobs, healthcare, and some of them,their homes as well. Then they look around them and they see things. They see their American gentile (white, black, asian, latino, etc) friends, relatives and neighbors experiencing this catastrophe with them. Then they look at Israel. Instead of poor victims, drowning in poverty, harrassed by arabs, they see a high-tech economic powerhouse, with low unemployment, socialized medicine, and with enough cash and credit to give free houses built on land stolen from some palestinian peasant to every neerdowell, kahanist, haredi, hardalnik, racist, and orthodox jewish child molester that shows up from Boro Park or Lakewood. They watch an Israel diminish, insult and disrespect an American President that almost 80% of them voted for. They look some more, and they see the sons and daughters of those American gentile friends and relatives go off to fight wars in Iraq and Afghanistan. They hear the commanding general of those freinds and relatives explain that the IP conflict is putting those friends and realtives in danger. They listen some more and they hear an Israel and an obsequious Jewish American Establishment which presumes TO SPEAK FOR THEM engage in a smear campaign against this same American hero who has put his life on the line for his country. They see an Israel that has been actively trying to spiritually disenfranchise them as Jews since 1996. They watch Israelis who have immigrated to their country treat them and their countrymen with contempt and derision. Israel wants to bring these people into the fold? Let me tell you something, man. That bus left the station a long time ago. I would say Israeli`s are beginning to gain an understanding of the current nature of their relationship with American Jews. This is evidenced by the spasms of fear with which they regard J-Street. Contrary to what they have grown used to over the last 60 years, the reality is quite the bucket of cold water. J-Street is not a “Pro-Israel” lobby per se. It is a Pro-Secular-American-Jewish lobby that actually represents the majority opinion amongst American Jewry. As such, its main goal is to affect change in Israel in such a way as to finally allow American Jews go home, go to bed, and finally be Americans, without the hyphen. They`re tired of you. They have no interest in “Greater Israel”, settlements, or kool-aide drinking, racist, settlers. They`re tired of douchebag Israeli emigres who compete with them for jobs and housing. Decades of contempt for American Jewry has proven to be your undoing. While I don’t care much for your tone, I agree with a good number of the points you seem to be making underneath the rage. But you might want to consider checking on assumptions you make. If you read my bio, you’d know–I’m an American, not Israeli. If you read my bio, you’d know–I’m an American, not Israeli. By the way, I wouldn’t dismiss the rage so readily if I were you. Its not mine alone, and as far as I’m concerned any secular American Jew who’s not thoroughly disgusted with this state of affairs hasn’t been paying attention. I don’t dismiss the rage. And the article was itself about precisely the disconnect between Israelis and American Jews you refer to. It’s simply a matter of different responses to it. For one thing, while many American Jews might just be as disgusted as you, many also still care about Israel (making no assumptions about how you feel on that point). I see the best path as trying to reawaken Israelis to the liberal values values that many still hold and working to see those being reflected in Israeli actions and policies. I also think that we’re better served by creating new Jewish institutions that stand up for those values and are prepared to challenge Israel when it fails to live up to them. Another response might be to wash one’s hands of Israel entirely. That’s fair if that’s what one wants to do. It isn’t the choice I want to pursue. There can be know doubt, Mr. Yaroni, that you have the best of intentions. And yes, I too care very much for Israel. My wife is Israeli, as is my son, and my own Israeli identity is very dear to me. On the other hand I’m acutely aware that the relationship that exists between Israelis and American Jews is not a two way street, and has morphed into something warped and twisted. More than half of respondents agree that ‘there is too much freedom of expression’ in Israel. “…The survey, commissioned by the Tami Steinmetz Center for Peace Research at Tel Aviv University, will be presented Wednesday at a conference on the limits of freedom of expression. The pollsters surveyed 500 Jewish Israelis who can be considered a representative sample of the adult Jewish population. Another 82 percent of respondents said they back stiff penalties for people who leak illegally obtained information exposing immoral conduct by the defense establishment. These kinds of numbers don’t reflect a fad. They reflect a national consensus that is now so well entrenched that it has become institutionalized within Israeli bureaucracy. One need look no farther than the incident at the Allenby Bridge with Chomsky or the Anat Kamm affair. Mr. Yaroni, you’re clutching at straws. These sorts of ideological paradigm shifts take place very slowly in Israel. It took the right in Israel 45 years to finally consolidate their power. Its going to take another 45 years to get rid of them. Are you prepared to wait? There is a third way, Mr. Yaroni. We simply vote with our money and re-orient our domestic political clout so as to acclerate the aforementioned “paradigm shift”. It’s not disengagement. It’s tough love. Not really sure what point you think you’re making. I have been a professional in this field for the past decade. I work in Washington and am well aware of both what is needed and what is politically possible–and of the need to expand those political possibilities. That’s what we’re doing here. This is not an academic exercise, certainly not for me, but rather my career. “Voting with our money” and “reorienting our political clout” is a lot easier said than done. There’s nothing simple about that process. Not sure what value you place on arguing that case with those who are working on doing that (as, perhaps you yourself are as well). But I don’t see much. And I’m not clear whether you read the article above or the others on this site. You seem to be arguing that we should be relating differently to Israel, both the Jewish community and the US Government. I agree, that’s the work I pursue day and night, professionally and as a volunteer. So, again, I’m just not clear on what your argument here is. Hello! in order to ask what exactly is this kind of theme you’re involving the web site? bless you.